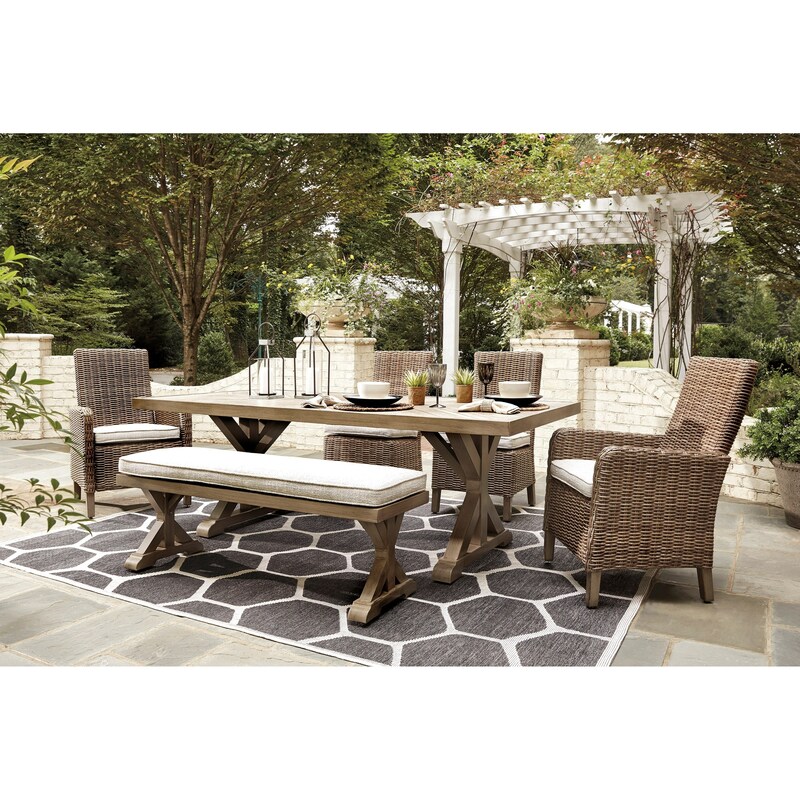 This gorgeous six piece dining set has everything you need to transform your outdoor space entirely. The resin wicker chairs are visually appealing, and beneath their exterior is a rust-proof aluminum frame that offers resistance to all weather conditions. The cushioned bench provides a flexible and comfortable seating option, and its X-leg base matches that of the rectangular table. A subtly designed porcelain table top finishes off the look of this irresistible set. The Beachcroft 6 Piece Outdoor Dining Set by Signature Design by Ashley at A1 Furniture & Mattress in the Madison, WI area. Product availability may vary. Contact us for the most current availability on this product. The Beachcroft collection is a great option if you are looking for Casual Outdoor Furniture in the Madison, WI area. Browse other items in the Beachcroft collection from A1 Furniture & Mattress in the Madison, WI area.